Sid Martin Biotech is located in Alachua, Florida – a 204-acre research park 20 minutes north of UF’s Gainesville campus. We offer flexible, one-year leasing terms to resident clients, and access to equipment/expertise for our affiliate clients. Our complex includes a wet lab/office building, small animal facility, large animal facility, and two climate-controlled greenhouses. We have small and large labs which are all equipped with chemical fume hoods and BSL-2 bio-safety cabinets. Most of the labs have internal offices and exterior windows. We provide over $1.5 million of shared scientific equipment. Access to advanced instrumentation, scientific expertise, and services at reduced rates through UF’s campus-based Interdisciplinary Center for Biotechnology Research (ICBR), Nanoscale Research Facility (NRF), and Major Analytical Instrumentation Center (MAIC). Here at UF Innovate | Sid Martin Biotech, we provide a quality, high-tech environment for biotech/biomedical startups. Our programs include assistance with composing business plans, perfecting marketing plans and developing sales plans. We can introduce your company to our outstanding network of investors, experienced entrepreneurs and mentors/advisors to advance your growth in the industry. In addition, we have an excellent group of sponsors and service providers who give discounted priority service to our clients. We save you time and expense with shared conference room/training room space, low-cost printing and copying services, high speed Internet and access to UF Libraries. Sid Martin Biotech is a secure access facility; we screen visitors to protect clients and their research, and offer 24-hour access to our resident clients. Other services include scientific vendor shows, “tech talks” and lunch and learns. These sessions, featuring experienced entrepreneurs, researchers, lawyers and speakers, aim to give companies tools for the next phase of growth and development. We have a board of advisors who can provide candid guidance and expertise to help your company advance beyond the incubation phase. We conduct annual reviews of your business to assist you in reaching your goals. Our clients benefit from the Sid Martin facility by receiving top-notch assistance from the Sid Martin staff and management, access to contacts in the Sid Martin network and unlimited free coffee at our coffee bar. Sid Martin Biotech provides shared scientific equipment to our clients and affiliates, so you can advance your research without spending funds on expensive specialized items. From the SpectraMax M5 Spectrophotometer to the Elga PURELAB ultra water purification system, our labs are a scientist’s dream. We have multiple sizes of autoclaves and various models of centrifuges and ultracentrifuges. Sid Martin is equipped with several walk-in cold rooms and ultra-low temperature freezers for your use. We provide biohazardous waste disposal services and, through our lab manager, provide training on the use of our equipment along with support/advisement.View the comprehensive listing of equipment we offer our tenants. Need to reserve a conference room? Request a booking. Your device must be registered for Internet access at Sid Martin. Wireless and wired (Ethernet) devices are supported. Please visit UF Wireless Onboarding or UF Computing Help Desk to register your device. NOTE: Routers and server equipment are prohibited on our network. Visit the Xerox AltaLink C8035 downloads page. This link will open in a new tab, then proceed with the steps below. In the Associated Product list, choose Built-in Controller. In the Operating System list, select your OS version. 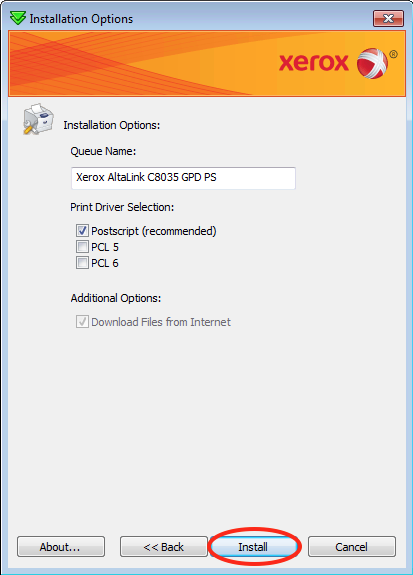 For PC, choose Xerox Global Print Driver then Install from Web from the next page. For Mac, choose Mac OS Common Print Driver Installer. Scroll down and click Accept. You will be prompted to save the file. Run the installer and click I Agree. **Screenshots below are from Windows but also apply to MacOS. 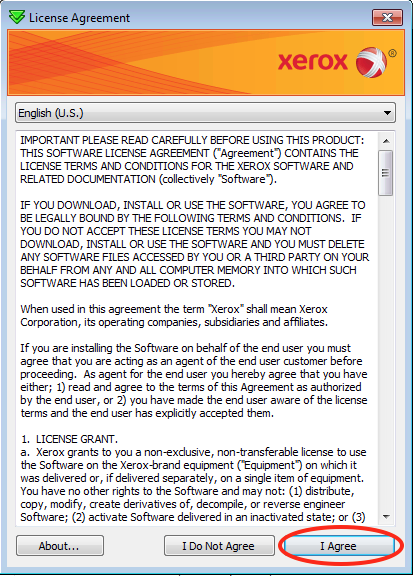 Look for smb-xerox-c8035. Select it and click Next. 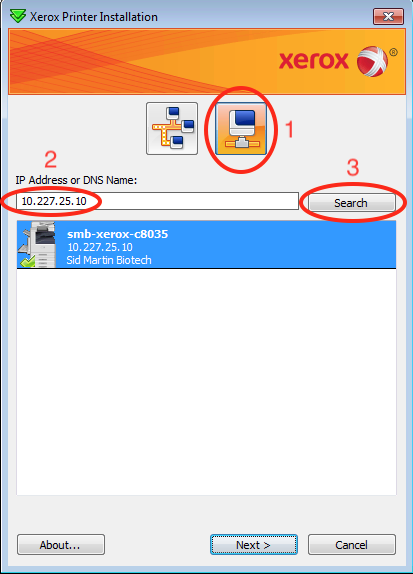 If the copier doesn’t appear, search for it via IP address. Leave the default settings and click Install. 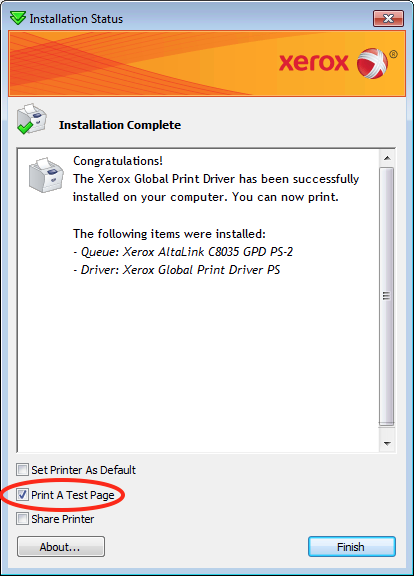 Once installation is complete, select Print A Test Page then click Finish. 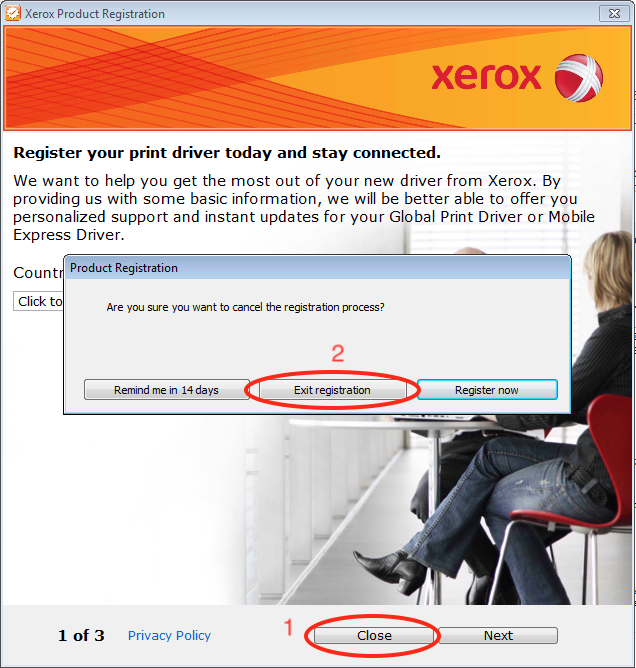 You will be prompted for a User ID (after step 9) to submit the print job. 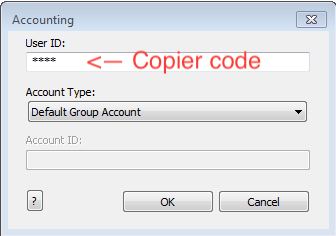 This is the same “copier code” assigned to your company. No need to submit a product registration. Enter your 4-digit copier code when prompted and click OK. If successful, your test page will be waiting in mail room 125. For further assistance or to retrieve your company’s copier code, please see the front desk. Your device’s MAC address is required for us to complete your registration. It’s also referred to as a “physical address” and is comprised of 12 alphanumeric digits (for example, 1a-2b-3c-45-67-89). Be sure to copy the MAC address that applies to your connection type: wireless or wired (Ethernet). The value is different for each. In the window that appears, click Details. See the Physical Address field. A window will appear. Type ‘cmd‘ (no quotes) and press enter. See our Scientific Equipment List to see what we have to offer. The UF GatorPerks discount program provides exclusive discounts for UF faculty and staff, and many perks also apply to Sid Martin clients. Save at various businesses and retailers. Most vendors want to see your UF Gator 1 card, others may want you to print out a coupon or enter a discount code on their website. Learn what discounts are available on the UFHR website. Amazon Web Services provides startups with low-cost, easy to use infrastructure needed to scale and grow any size business. Some of the world’s hottest startups, including Pinterest and Dropbox, have leveraged the power of AWS to easily get started and quickly scale. AWS Activate is a program designed to provide startups with the resources needed to get started on AWS, and it includes a $10,000 credit you can use in your first two years with the service. The front desk has our organization ID. Please DO NOT share this ID with anyone else in or outside of Sid Martin (as Amazon checks to make sure everything is legitimately through UF Innovate). Lynda.com is an online video library with thousands of courses, taught by recognized experts who are passionate, effective teachers. Learn new skills, find answers, and explore hobbies in design, video, audio, business, development, photography, and more. As a client of Sid Martin, you simply log in to the Lynda.com link at http://elearning.ufl.edu with your Gatorlink credentials. Companies located in Progress Park may apply for Foreign Trade Zone 064 status through JAXPORT. The company’s direct imports would be treated as if they remain in a foreign country and they not pay U.S. import duties. FTZs help customers trim cash flow. They allow companies to defer payment of import duties until they sell goods to U.S. buyers outside the zone. Or they can skip duties completely if the goods are re-exported.